Add Module To Page: When you add this module on a page for the first time, you will see following info. Please click "Design Form" button, then you will enter "Design Form" page. Design Form: You can manage form fields here. When you add one filed, you need to configure Field Title, Field Type, Validator, Required and so on options. 1.In addition to verifying fields according to default number and email, it can also allow you to fill in the regular expression to verify field. 2.There are 7 kinds of control types for you to choose, they are Textbox, RadionButton List, Checkbox List, Dropdown List, Checkbox, Date Picker, File Upload. Dropdown List & Radio button List: When you choose Dropdown List and Radiobutton list control types, you can configure it whether to have child field. If you configure it to be true, then child field will connect with Parent Field. 1.You can add multiple lists for dropdown list type, but you need to configure one Default List for this field. When page loads, the content of this Default List will be loaded into dropdown list control. 2.You can add multiple entires for each one list and you can also configure Text and Value for each one entry. If Parent Field has Child Field, there will appear all lists of child field in Bind List included in Entry. When Parent Field chooses certain one Entry, Child Field will bind with corresponding List. Normal Form: This is one configured common Form. 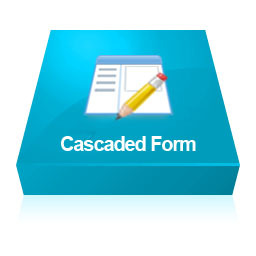 Cascaded Form: This is one configured Cascaded Form. When options chosen in Animal field is different, bound content in Animal2 will also be different. Of course, you can also add more binding, such as Animal3, Animal4 according to specific need. Control Types: There are 7 kinds of control types for you to choose and they are Textbox, RadionButton List, Checkbox List, Dropdown List, Checkbox, Date Picker, File Upload. Form Template: You can configure template of front-end form here. With this template, you can adjust the form into any style. This is very practical and convenient. Email Template: You can configure email subject and email template here. With this template, you can adjust email content into any style. Global Settings: You can configure Notify Submitter, Receiver Email, Sender Email, Upload Folder, Submit Result, After Submit and so on options here. Export Form: When you spend much time on configuration on the site and you also need to apply this module configuration on another site, this function will be useful for you. Submit Result: After submitting form, you will see information "Thank you for your submit". This can be edited in "Global Settings"->"Submit Result"
Email Content: After submitting form, it will send one email. Email content is as below, style and structure here can be edited in “Email Template” page. Submit Records: On this page, you will see saved submit records. Added "Receive Email" option for Dropdownlist, Radiobuttonlist, Checkboxlist field. If admin checks this option, emails will be sent to corresponding email address after form submitters submit the form. Fixed the bug that Fileupload control threw error. In Global Settings page, I added "Save Submit Data" option. If this option is unchecked, data won't be stored in data table and it will only send emails. In default, this option is checked. Added "Entry Order" field, make entrys support sort function. For required fields, I added required marker. On Submit Records page, we added "Export All Data To CSV" button. You can export all data into CSV file through this button. On Submit Records page, we added "Clear All Records" button. You can clear all submitted records through this button. We added Back button on Export Form page. Added Import and Export Form function, When you spend much time on configuration on the site and you also need to apply this module configuration on another site, this function will be useful for you. Optimized style of field controls. Make the form support responsive. It can support adding fields dynamically. There are 7 kinds of control types for you to choose and they are Textbox, RadionButton List, Checkbox List, Dropdown List, Checkbox, Date Picker, File Upload. It can support editing form template. It can support editing email template. It can support cascade function among fields. It can support feature of sending emails. After submitting form, you can configure it to display information or redirect to other page. You can change root for files which are ready to be uploaded. You can view or delete records which will appear after submitting form.